A small and compact handmade leather wallet for those that like to keep it minimal, that can be personalised for that special touch. 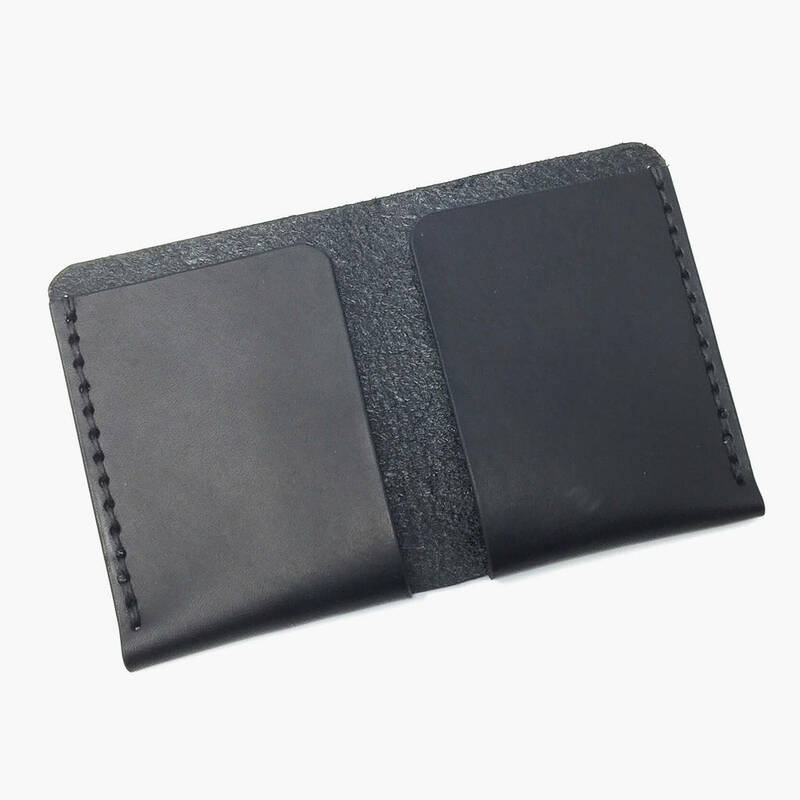 The wallet consists of two pockets, each designed to hold 6 to 8 cards plus some folded cash and receipts. 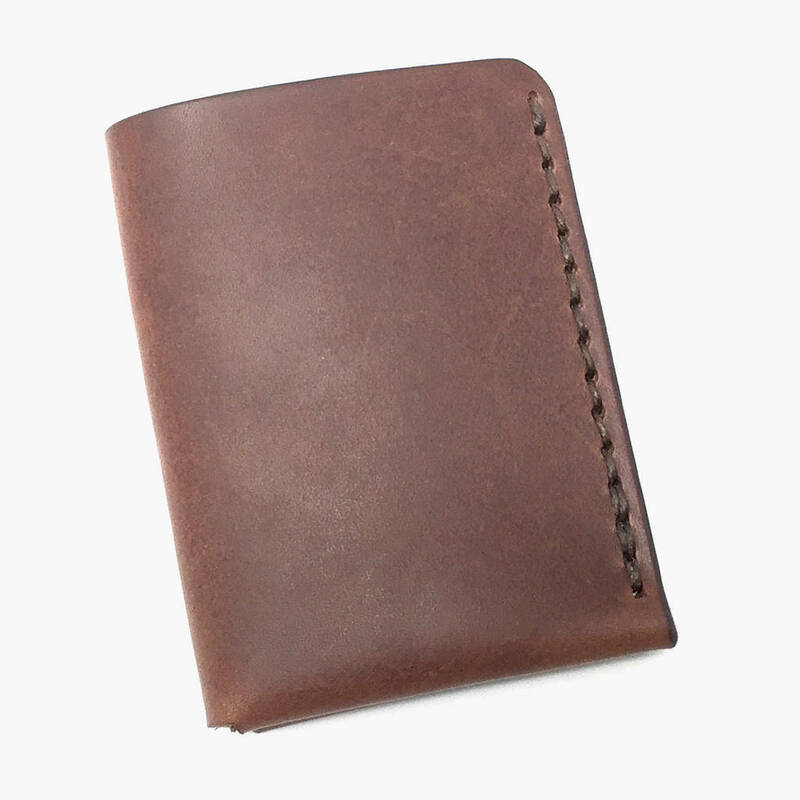 Made from a single piece of leather stitched with waxed linen thread. 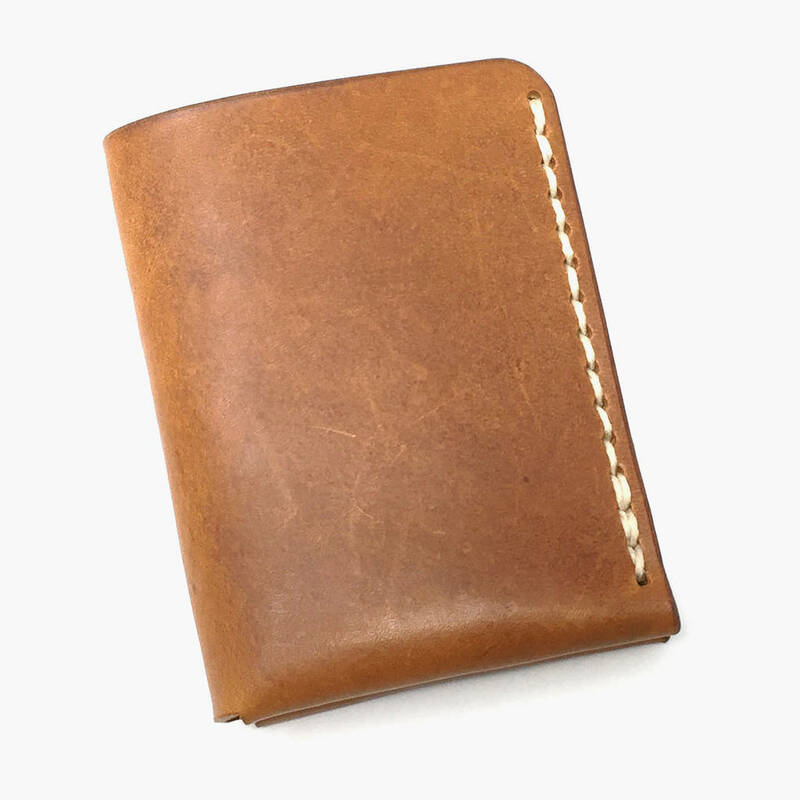 The edges are burnished by hand and sealed with natural beeswax. 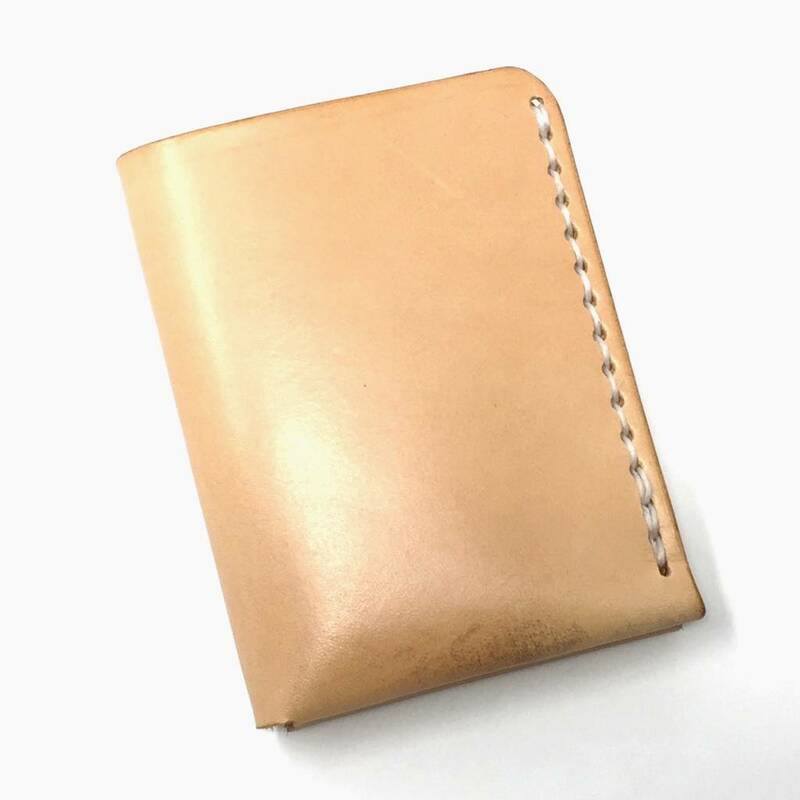 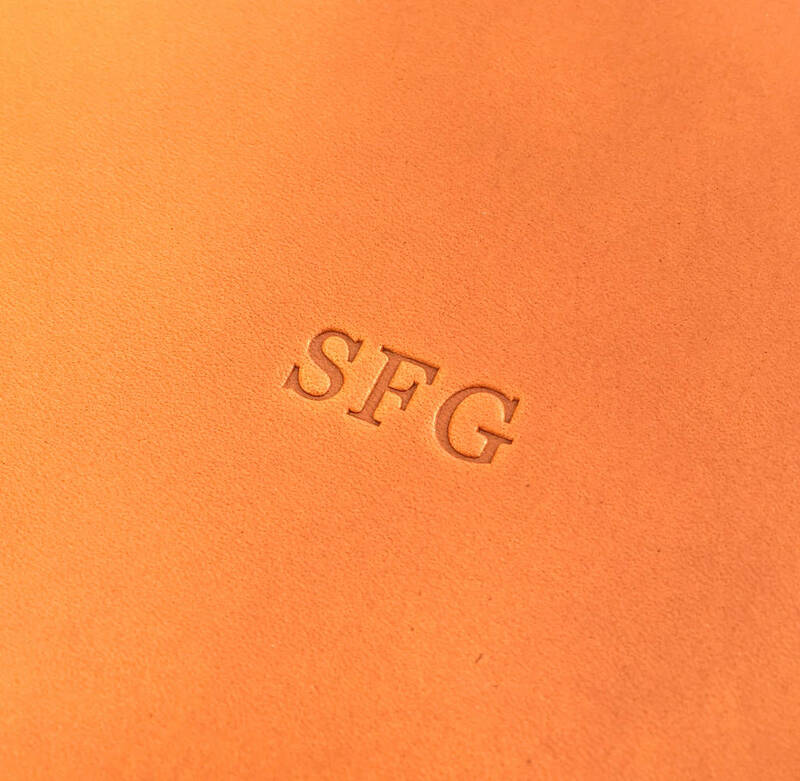 Our leather wallets come in a branded 100% recycled natural card gift box. 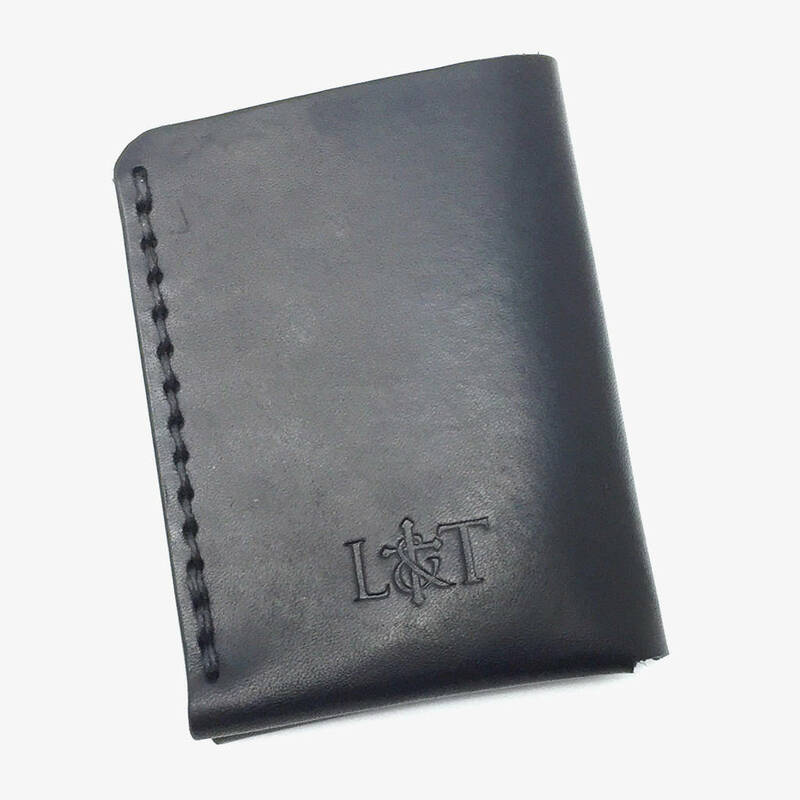 The personalisation will be on the inside right pocket, so hidden when closed. 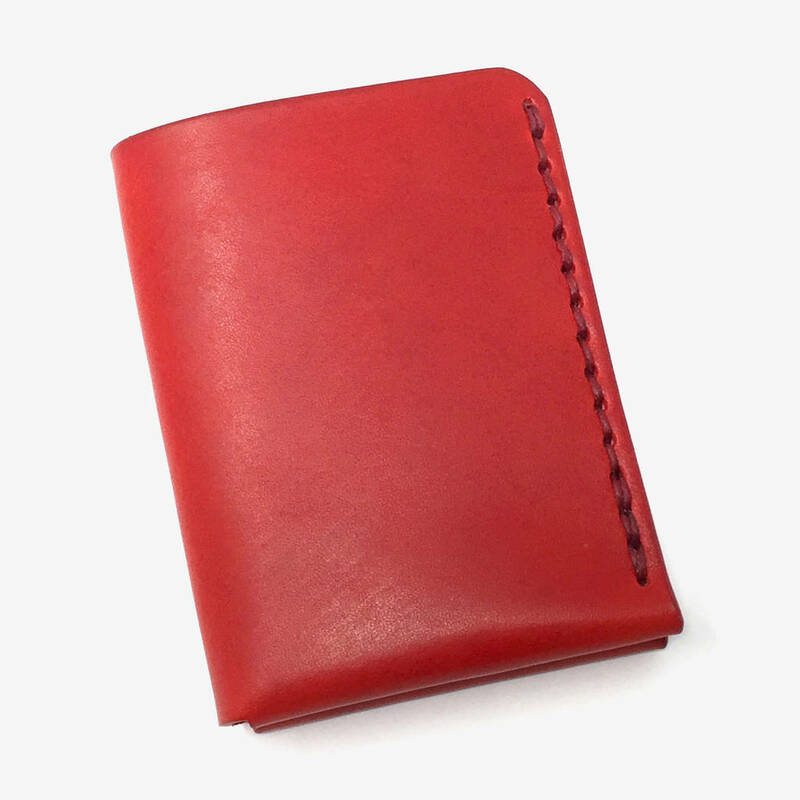 7.5 cm wide x 10 cm high.